Move over “My Favorite Martian.” The real aliens, the ones without antennae, are upon us. 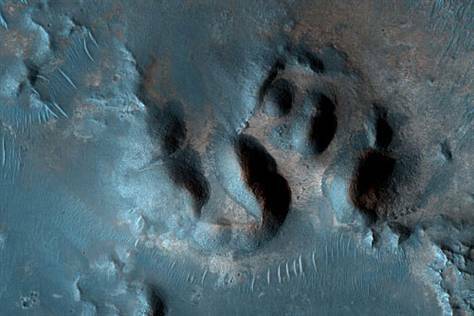 Looking at the “print” above, it would be a bit more convincing if there were a series of indentations that made a trail. 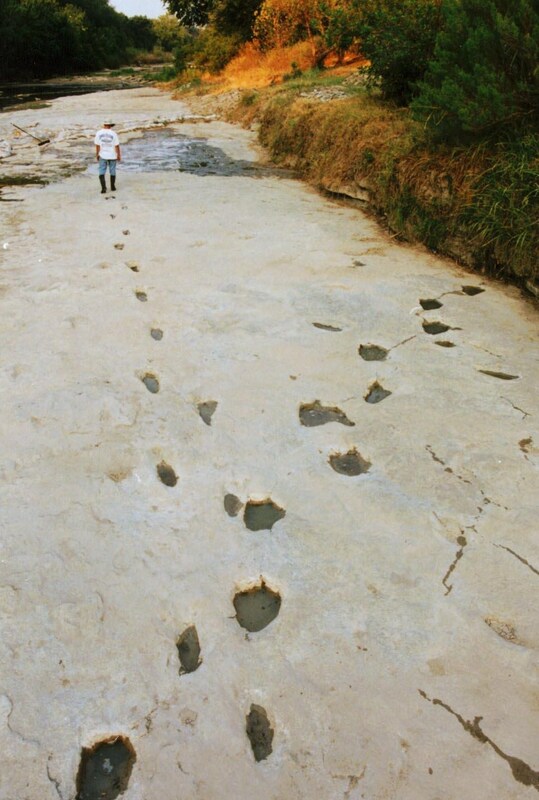 The dinosaur/human trails found in the Paluxy River bed in Texas are a good example. Maybe the alien that made the above “track” was a flier and no trail is necessary. Of course, it doesn’t have to be a appendage fossil print at all. The highlighted story is typical. The title announces possible signs of alien life. There is a picture, “scientific” administrations and institutes and their studies are noted, and an idea that fits with macro-evolutionary thought is put forth. Scientists have not yet discovered proof of life on Mars, or anywhere in the universe beyond Earth, though they are getting closer to knowing where to look and how to recognize the signs of life if they are present. “My Favorite Martian” was a quirky comedy that made us laugh. I would have to be deaf and blind not to be aware of the serious alien “buzz” that permeates much of today’s airwaves. 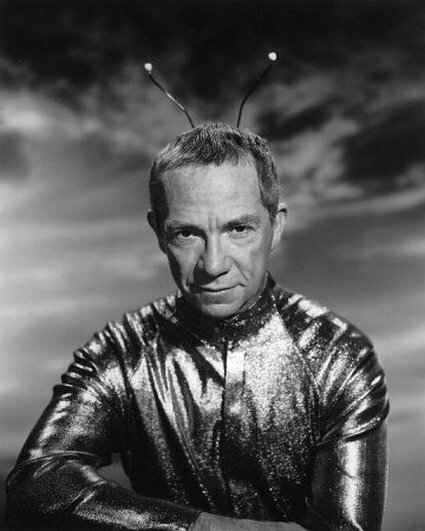 Ray Walston was "My Favorite Martian"
A friend pointed me to a movie named “Knowing.” I watched the final half hour. It’s a sci-fi flick that has an answer. It explains how a Garden of Eden could have been created. Man didn’t come from God. He came from aliens. The movie visually depicts a “theory” put forth by Richard Dawkins, the great modern day macro-evolutionist, that we may have been seeded on Earth by aliens. 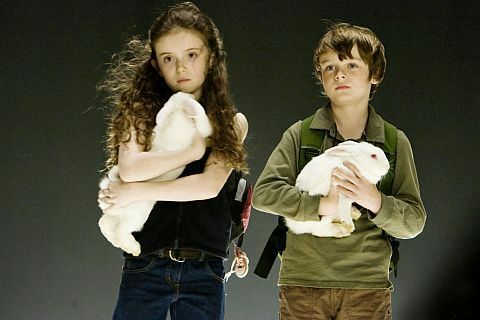 These two young humans and their rabbits are "seeded" on a new planet in "Knowing." Aliens used to be fun. They have now become an answer. Some humans would rather believe that evolved aliens, rather than an Almighty God, explain our existence. Earlier this month, the mainstream media reported the sighting of a UFO over a Chinese airport. 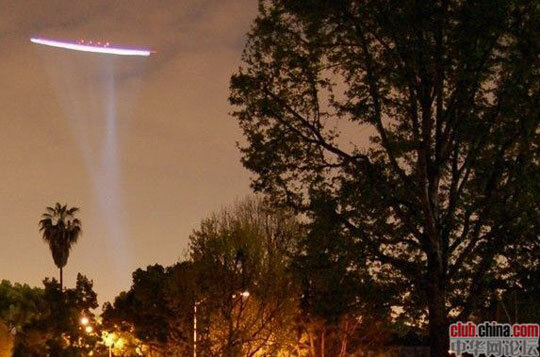 The UFO reportedly grounded airline flights for awhile. I have no idea what the thing in China was. It appears that no one else admits to knowing either. Some Christians are saying that the UFO bustle is the result of demonic activity. A student of Bible prophecy that I listen to thinks so. I don’t know if this is true or not. I do know that demons are real. Anyone who has read any of the Gospels knows it. The Gospels also tell of the good angels. 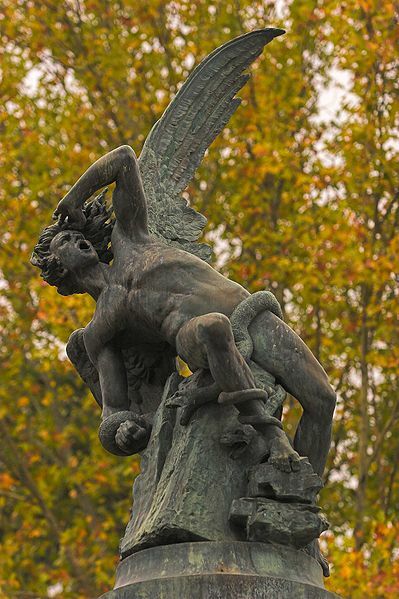 The sculpture of The Fallen Angel at Plaza del Ángel Caído, in the Retiro Park in Madrid (Spain). Created in 1877 and cast in bronze for Universal Exposition in Paris. Work by Ricardo Bellver (1845-1924), a Spanish sculptor. Photo by Thermos. Unfortunately, the beginning has a sad ending. Sin enters the world. Sin is something the macro-evolutionists don’t want to discuss. The Biblical account explains what I observe to my satisfaction. The bookend to Genesis is Revelation. I think it is also very literal. It is sequential and describes future events that are more tragic and fascinating than anything Hollywood can conjure. And the aliens? We will eventually know the truth. It will all fit very nicely. How will God improve on this? 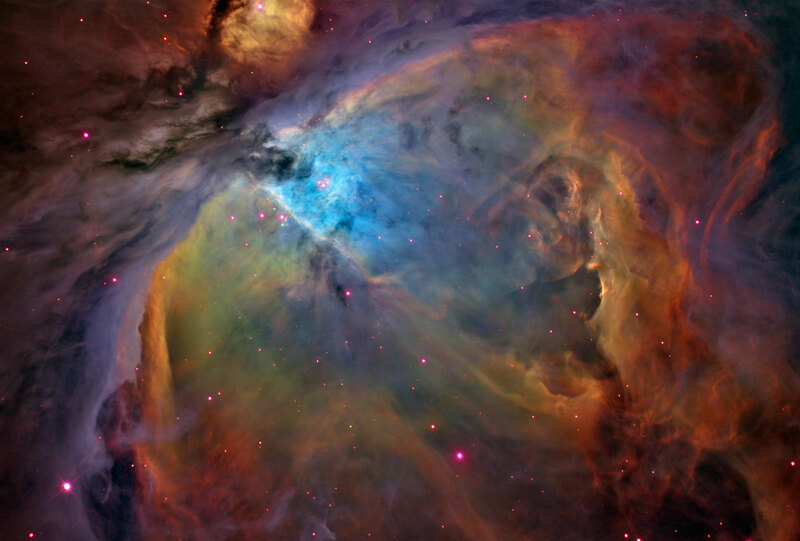 (The Orion Nebula) It is going to be Awesome. This entry was posted on Saturday, July 31st, 2010 at 9:57 PM and is filed under Commentary. You can follow any responses to this entry through the RSS 2.0 feed. You can leave a response, or trackback from your own site.